This post is my fourth installment for the "Truth Seeker Campaign" which intends to clarify common misconceptions about acne and skin care. Do you tend to forget to remove your makeup before going to bed? Or it takes you months before changing your towel or bed linen? These are few of the habits that make look seemingly okay but it can terribly damage your skin or aggravate your acne. We have to admit. We are guilty of bad skin care habits. These bad skin care habits should be ditched to prevent any harm on our skin. Let me share with you my top three bad beauty habits that lead my skin to break out. On top of my bad skin habit is touching my face. I would absentmindedly touch my face. The worst part is I would run my fingers on the areas where I have zits or rashes thus, causing my zits and rashes to multiply. I noticed that every time I do this I developed pimples on that area. Touching your face is very unsanitary and causes the spread of bacteria. Just imagine the things you've touched and the dirt that have accumulated on your fingers and most especially on your nails. How to break the habit: Intentionally remind yourself not to touch your face. I do this very often and it helped lessen this unnecessary habit. Also, it would also help to bring an alcohol or hand sanitizer in your purse so you can cleanse your hands very now and ten. My next bad skin habit is not regularly washing my sponges and brushes. Before, I have all the time in the world to wash my brushes but now that I have work, I just feel so lazy washing them. Aside from getting muddied colors stuck on your dirty brushes, they are also a breeding ground for bacteria. Also, I do not replace my foundation sponge even if it is muddy and dirty. I will just wash it together with my brushes but I know that is not enough. How to break the habit: Using a good antibacterial wash or soap will help remove all the grime and dirt on your brushes. There are also good brush cleaners that are now available in the market. The last skin habit that I am guilty of is self diagnosing and medication. Whenever I see a weird spot on my face or a zit, I would never fail to buy a medicine to counteract my skin problem. I am my own dermatologist. My fanaticism on treating my self with medicine people recommend or those I have researched was when I discovered I have psoriasis. However, instead of clearing up my skin, my problem worsen. How to break the habit: I have finally come in contact with reality that I graduated with bachelor of laws and not medicine.. hihi Going to the dermatologist is the best option. Breaking these bad skin habits are mere precautions in order to achieve a healthier and flawless skin. 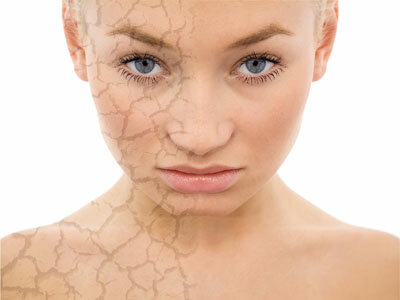 There are other factors that affect our skin and in effect causes our skin to break out. Care to share your bad skin habits? Btw, I love reading your comments and I will reply to them soon. I also have a terrible habit of touching my face as well. Not drinking enough fluids is another bad habit that's contributed to bad skin and overall health. My body is always dehydrated (you can tell by your lips, mouth, skin, and eyes).